We’ve taken a look at How to Design You Own Kitchen layout, the other major room in the house, that is usually a target of a reno or makeover is the Bathroom. There is an easy way to test drive your ideas before making any commitments if you are having trouble visualizing a new bathroom design. 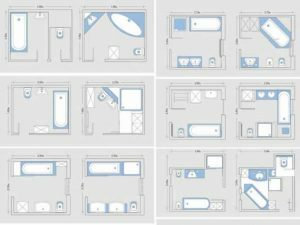 A variety of different bathroom layout planners is offered by the internet, which requires a little effort and a lot of creativity. Follow these some tips on using one of these online planners. 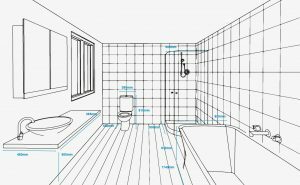 If you want to create a makeshift blueprint for your design, there are many different online bathroom layout planners you could freely choose. 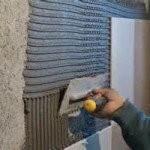 These bathroom layout planners could also be easily found at the Armitage Shanks, Kohler, Big in Bathrooms and the Bathroom Furniture Guide websites. The William Wilson Big in Bathroom site, for this walkthrough, will be used. However, you may have to download the latest version of Adobe Flash or Macromedia Shockwave, depending on which planner you use. Some older operating systems may not be able to support these plug-ins; if you are using an old operating system, you may get an error message when you try downloading either plug-in. make sure you have bookmarked your page before closing because you may need to shut down your Internet browser to download Flash or Shockwave. 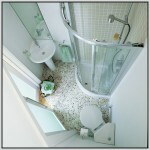 You will be directed to an interactive online bathroom layout planner once all of your plug-ins has been downloaded. You will see what appears to be a small grid, which is your 2-D view, and also, at the William Wilson website, a small blank box on the right, which is your 3-D view. Make sure you have your existing bathroom measurements. You could begin by creating walls. Simply click on a point on the grid and trace the outline of your bathroom with it approximately measurements to do this. Once this step has been completed, a 3-D version of your bathroom will appear in the box at the right. This image could be easily viewed at different angles and zooms by simply click-holding on the image and turning it with your mouse. Just double clock on a highlighted wall to change the color of your walls. You will see an option to change the color under your grid. 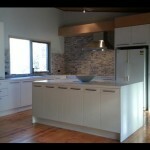 You could simply click on a wall and choose “Apply Current Color”, once your color desired has chosen, for each wall. You have to process it by clicking on “Next Step”. Several different items will have provided you to choose from, such as windows, doors, toilets, sinks, showers, baths, radiators, shelving, cabinets and other units. You are allowed to design your bathroom using scalable boxes instead of products by the “Generic” tab. 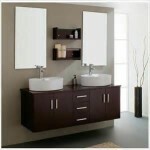 Once your products have been chosen, place them wherever you would like them to appear in your bathroom. If they are incorrectly positioned, the items will flash red. As you place items, you will be able to see them appear in the 3-D view as well. 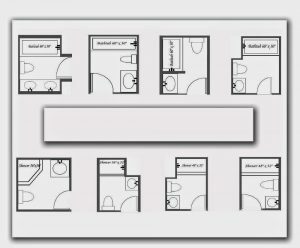 Your file could be saved and printed, once you have finished with this bathroom layout planner.